It is said that the United States of America is a nation of riflemen. This hearkens all the way back to the Revolutionary War and the years preceding it. It was during the 18th century that the rifle entered into American use, and quickly became Americas favorite type of arm. From the Appalachians to the Rockies, from the Saratoga battlefield to Gettysburg, rifles played a crucial role in the founding, formation, and development of this nation. Millions of hunters, soldiers, and citizens have placed their life and trust into the hands of a rifled firearm. I think you should be among them. Today, just like in the 1770s, millions of Americans are purchasing firearms for home defense every year. These firearms vary in type, cartridge, and ammunition capacity. A great number of them are handguns, commonly chambered in 9mm, or .45, with the .40 S&W shrinking in popularity daily. The .12 gauge shotgun, often the venerable Remington 870 or Mossberg 500, are also purchased and kept for home defense in large numbers. But the largest new trend in home defense arms is the purchase of a rifle for protection. The rifle will always beat the handgun in accuracy, both close range and long distance. It is far easier to aim and use a rifle when your adrenaline is pumping, and you are far more likely to miss with a handgun. Longer sight radius and superior grip give the rifle the edge here in a defensive situation. America’s thirst for magazine fed, semi-automatic rifles has deepened greatly over the last decade. This is good news for those of us who value our rights, and who own and use firearms. It is an excellent time to get into tactical rifle ownership. Prices are at historic lows, availability at historic highs. The annual production of tactical rifles exceeds 2 million per years, it may be as high as 4 million new rifles per year depending on who you ask. The price of a decent rifle can be less than $450, and accessories can be had for a song. For someone seeking their first rifle, I strongly suggest you purchase an AR-15. The reason is twofold, first, they are readily available and affordable. The second reason is the 5.56x45mm NATO cartridge can be an excellent round for home defense and is also widely available and very affordable. In 2004, after the sunset of the 1994 Assault Weapons Ban, a new AR-15 often cost over $1000, and an average of 200,000 were produced annually. Times have changed, as many as 3 million enter circulation annually and the same rifle that would have cost $1000 in 2004, now can be purchased for $400. 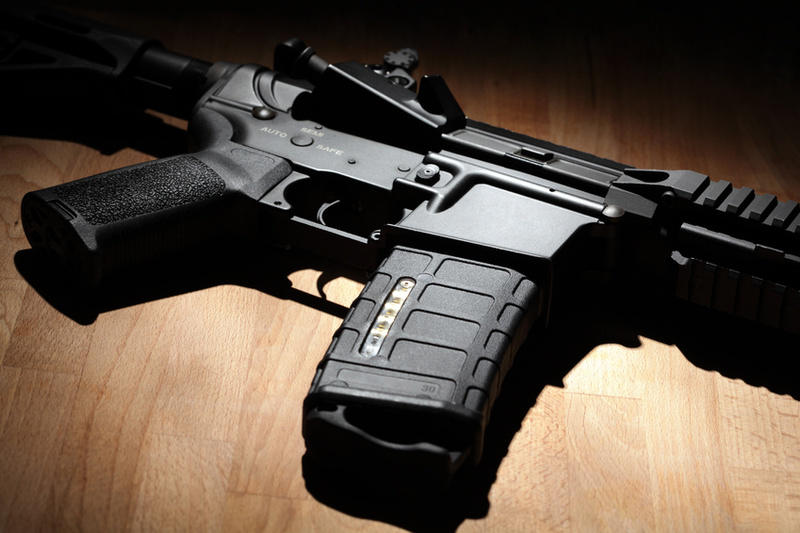 An AR-15 can be purchased as a complete rifle or can be built from parts. I strongly recommend that any AR-15 you purchase or build, be built upon 7075 T6 mil-spec upper and lower receivers, with a mil-spec buffer tube. Your rifles bolt carrier group should be made from 158 Carpenter Steel that is chrome lined at the least. Your gas key should be properly staked (bolted) to the bolt and should also be chrome lined. A good bolt will last between 10,000-20,000 rounds. Most of the well-known companies out there put quality bolts in their rifles, and this is one area you don’t want to shy away from to save a few bucks. Your rifle’s barrel is another big deal. You will notice a dizzying variety between the different manufacturers when it comes to AR-15 barrels. I recommend two types. I strongly recommend a Cold Hammer Forged and chrome lined barrel for your AR-15 or a 4150 Chrome Moly Vanadium barrel that is nitrided or chrome lined. Both chrome lined and nitride offers superior corrosion resistance to an unlined barrel, both offer greater longevity. Nitride has an edge when it comes to accuracy, chrome has an edge in longevity. I also recommend that you purchase either a mid-length AR-15 with a 16-inch barrel or a full-length AR-15 with a 20-inch barrel. Mid-length AR-15s have the advantage of being as short as an AR-15 carbine, but with a more reliable gas system. Mid-length rifles often have longer parts life due to longer gas dwell time, and slightly less recoil. A full-length AR-15 with a 20-inch barrel is longer and not as compact. However, a 20-inch rifle offers the ideal barrel length for shooting 5.56 cartridges. The 5.56 thrives and can reach near peak velocity and muzzle energy due to the added 4 inches of barrel length. A rifle-length gas system offers the lowest wear and tear on the system overall and the longest life on rifle bolts. The AK-47, AKM, and AK-74 rifles have all become very popular rifles here in the USA. They have a well-deserved reputation for reliability and ruggedness. The AK-47 has a forged receiver and is generally more expensive, examples of the AK-47 in the USA would be the Arsenal SAM7. The AKM is by far the most popular AK in America, examples include the WASR-10. The receiver is stamped as opposed to forged. The AK-74, once popular, has diminished over the last 5 years and I see no sign of that trend ending. The AK-74, when available, is a good rifle and the 5.45x39mm is an excellent defensive cartridge. But the key is availability, and AK-74s and 5.45x39mm ammunition become less so as the years come and go. If you have decided on an AK, I strongly recommend that you purchase an imported rifle such as a WASR-10, one of Arsenal’s many models, or a Serbian NPAP. I highly advise against purchasing a 100% USA built AK. The reason being is the superiority of foreign parts of domestic. Foreign AKs tend to use forged trunnions, bolts and carriers as opposed to the cast parts often used in domestically built AK rifles. Imported AKs are known to last over 100,000 of ammunition, and that is a lot of shooting! In today’s market, a good import AK will cost around $700-$1500. Another great rifle to consider, albeit costlier than an AR-15 or AK, is the IWI Tavor. The Tavor is a bullpup, piston driven rifle from Israel with excellent ergonomics and reliability. It is chambered in the 5.56x45mm cartridge. Its compact design lends itself to a perfect defensive rifle. The Tavor is actually the current issue rifle for the Israeli Military. You can expect to shell out $1700-$2000 for a new Tavor rifle. If you are purchasing your first rifle and you are able to, purchase an AR-15. You can’t go wrong with a rifle that is built right, with a good bolt and a good barrel. Whatever rifle you buy, I strongly urge you to purchase a light for your rifle. This is a very important feature for a home defense rifle, especially because you may have to use it at night, in the dark. You can’t (shouldn’t) shoot at what you cannot see. Sight it in, practice with it and when trouble comes knocking, you will be ready.